KKR, a leading global investment firm, and Round Hill Capital (“Round Hill”), an established global real estate investment, development and asset management firm, announce that their joint venture (the “Joint Venture”) has acquired the land and is forward-funding the development of a 698-bed purpose-built student accommodation (“PBSA”) scheme in Groningen, the Netherlands. 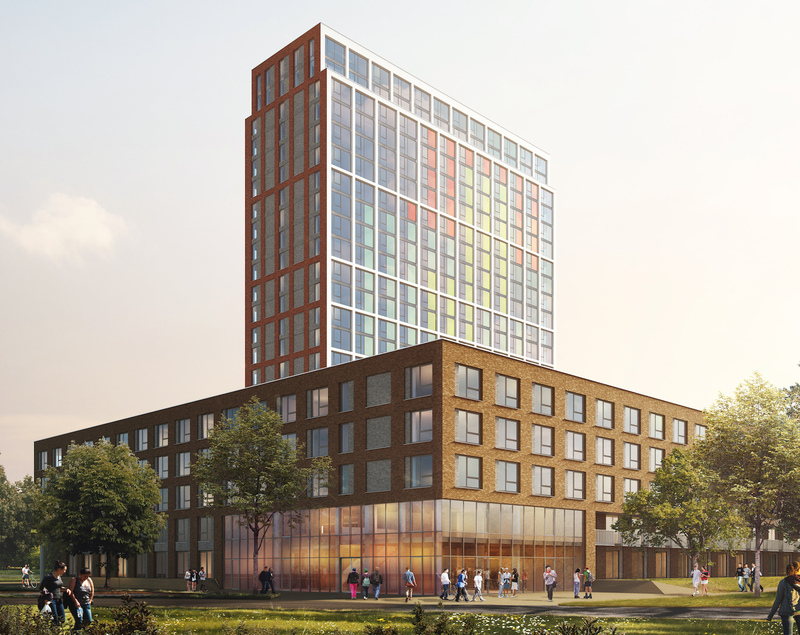 This is the Joint Venture’s second student housing development in the Netherlands, following their acquisition in July 2018 of a significant development in Utrecht, comprising 577 student beds and 173 residential apartments. KKR and Round Hill continue to make investments in student accommodation through multiple strategies including acquiring existing assets, developing new PBSA, forward-funding and repositioning assets across select university towns and cities across Europe. The new student housing development scheme is well located within a two-minute walk of Groningen University’s campus and a short bike ride to the city centre. It will offer 467 large en-suite studio flats and 231 short-stay units. There will be a variety of room sizes, dedicated common areas and amenities for all residents to enjoy as well as 404 sqm of commercial space. Construction is due to complete in early 2020. The building will be managed by Nido Student, Round Hill’s established operational platform and brand for European student accommodation. Nido Student provides a home, lifestyle and experience which both inspires students and helps to build a real community. Groningen is the fourth largest university city in the Netherlands with a student population of approximately 54,000. The city has a lack of PBSA with approximately 3,300 beds, which is amongst the lowest provision rates in the Netherlands. Similar to other cities in the Netherlands, excess demand for high quality, well-located student housing in Groningen is being driven by persisting structural supply constraints and this development will help to meet this growing demand. The project has been acquired from a joint venture between Dutch real estate development firms Borghese Real Estate and Urban Developers. The project will be built by Geveke. KKR and Round Hill have secured financing for the project from Rabobank. KKR’s investment was made through its Real Estate Partners Europe fund. “Round Hill has a proven 15-year expertise in successfully investing, developing and managing residential real estate in Europe, and currently operates circa 65,000 residential units and student accommodation beds in eight European countries. We remain committed to continuing to invest in and manage real estate the Netherlands on behalf of multiple investors and we continue to pursue actively our student accommodation and residential strategies. KKR is a leading global investment firm that manages multiple alternative asset classes, including private equity, growth equity, energy, infrastructure, real estate and credit, with strategic manager partnerships that manage hedge funds. KKR aims to generate attractive investment returns for its fund investors by following a patient and disciplined investment approach, employing world-class people, and driving growth and value creation with KKR portfolio companies. KKR invests its own capital alongside the capital it manages for fund investors and provides financing solutions and investment opportunities through its capital markets business. References to KKR’s investments may include the activities of its sponsored funds. For additional information about KKR & Co. Inc. (NYSE:KKR), please visit KKR’s website at www.kkr.com and on Twitter @KKR_Co. Round Hill has a successful track record of investing in and operating residential and student accommodation assets across Europe. The Group has acquired, built and managed over 110,000 residential units and student housing beds in recent years and currently manages circa 65,000 residential units and student housing beds in eight European countries. Round Hill’s approach incorporates multiple strategies, including acquiring existing assets, developing new purpose-built assets, forward-purchasing assets and repositioning assets.